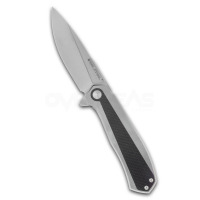 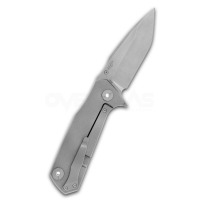 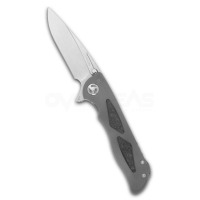 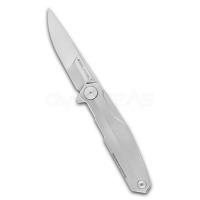 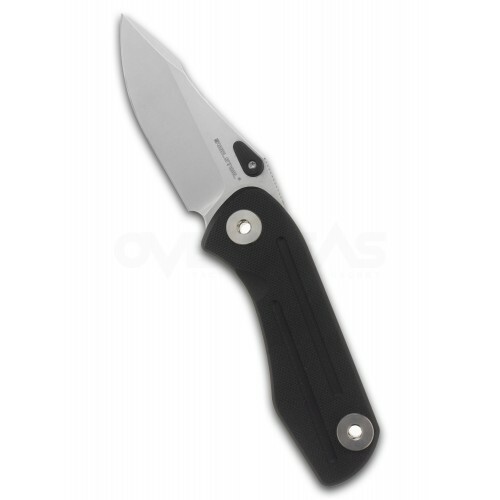 This Real Steel Control knife is a fantastic collaboration with Poltergeist Works knives. It features a marbled carbon fiber front scale with a titanium frame side. 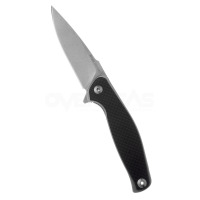 The titanium side of the frame has had internal milling to reduce the overall weight of the knife. 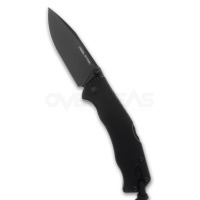 No aspect has been overlooked and this knife commands respect. 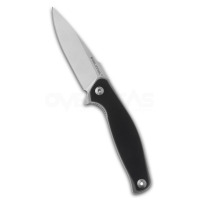 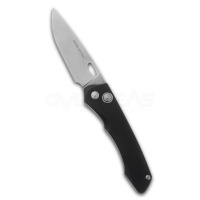 Premium CPM-S35VN steel that offers both excellent edge retention and corrosion resistance. 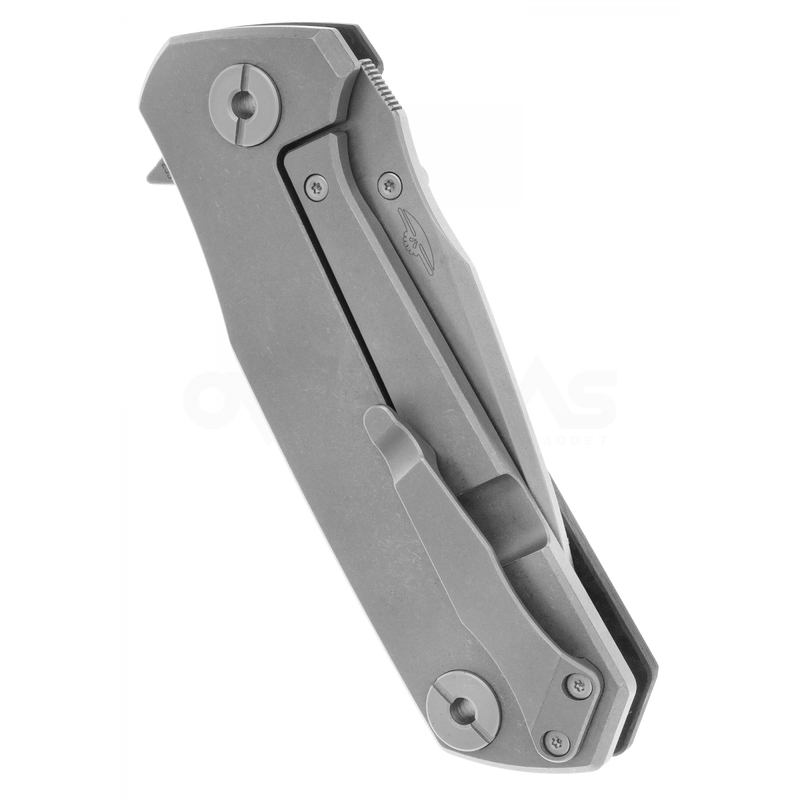 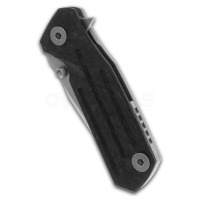 3D machined pocket clip that securely holds the knife in your pocket. 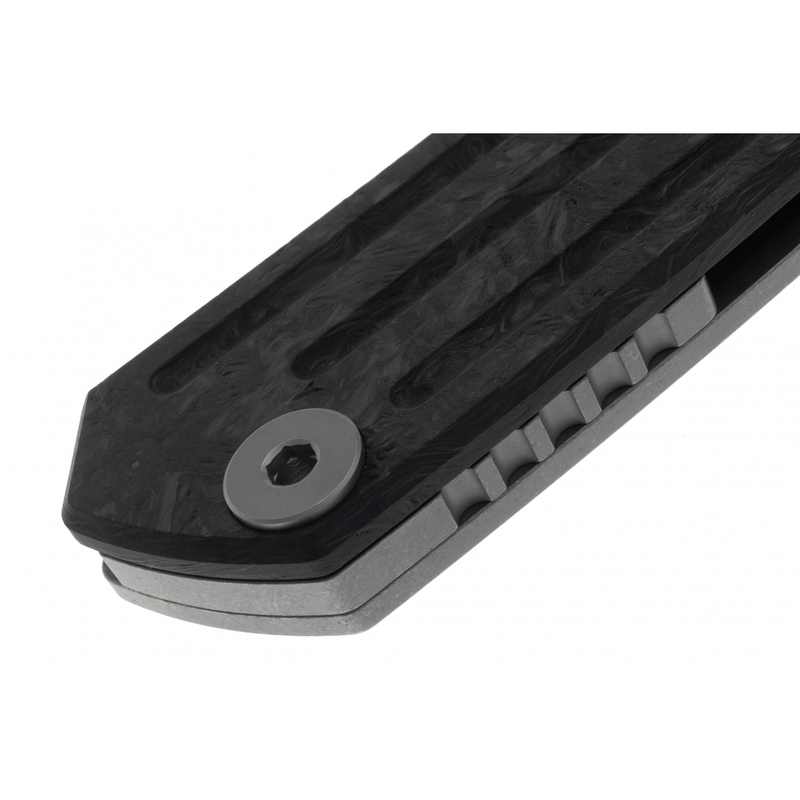 Contoured carbon fiber front scale with horizontal milling to increase grip retention.